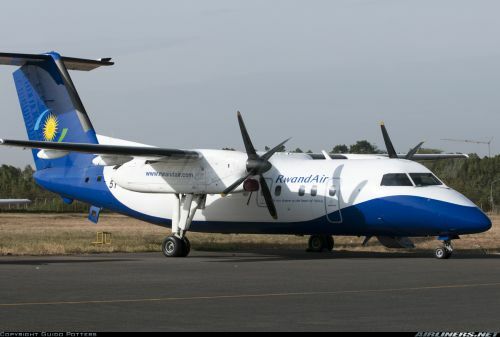 The dash leased from ALS Airlines (Kenya) since spring 2010, now wears the RwandAir livery. The configuration is of 37 seats in single class. Have a nice flight !!!!!!!!!! Thanks to Guido Potters @ Nairobi - Wilson Airport (Kenya) on 1 MAR 2012.